The Armenian parliamentary delegation led by Speaker Ararat Mirzoyan on Wednesday met with the director and experts of the German Institute for Security and International Affairs (SWP) to discuss the country's foreign policy agenda. The delegation left for Berlin on Monday for a four-day official visit. According to the National Assembly’s press service, Mirzoyan briefed Director Volker Perthes and members of the Europe and Eurasia expert group on the political changes in Armenia and the developments and priorities outlined after the December 9 snap parliamentary elections. SWP is an independent German research institution offering counselling services to the Bundestag and the German Federal Government. 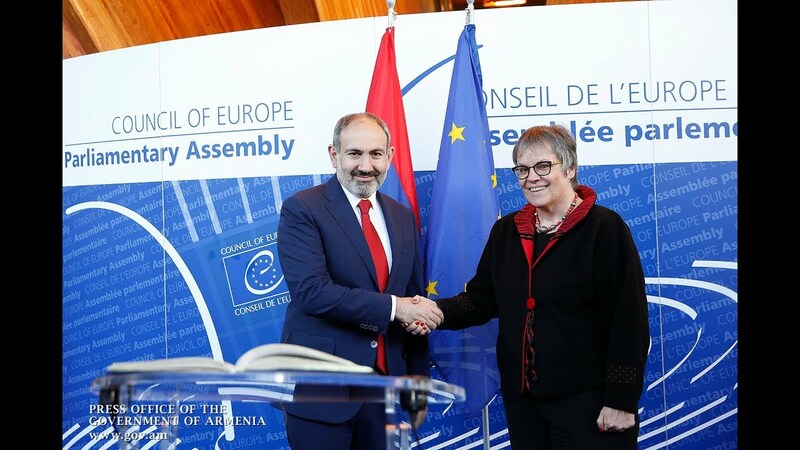 Armenia’s current economic reforms, regional security issues and the EU-Armenia visa liberalization process were part of the meeting agenda, according to the official statement.